Evangelist Savannah Bernice Robinson Bolton was born the eighth of twenty children to the proud parents the late Deacon Horace and Mother Lucy Perry on April 10, 1933 in Warren County, North Carolina. She departed this earthly life April 11, 2019. Savannah was educated in the Warren County School System and soon confessed Christ as her Savior under the leadership of Bishop Rufus Easter and served faithfully in his ministry until she migrated to Mount Vernon, New York. Later, she married Walter King Robinson and to this union was born one son, Julius Robinson. Savannah spent most of her adult years as a Domestic Engineer in Mt. Vernon, New York. In later years, she joined in marriage to Rev. Darrell Bolton of Mt. Vernon, New York. They relocated to North Carolina and founded Louisburg Church of God. After the death of her husband, Rev. Bolton, Savannah returned to her church, Mt. Zion Apostolic Faith Church of Giving Grace under the leadership of the late Bishop Geanie Perry who passed the mantel on to her sister, Pastor Lucy Alston. After the decline of her health, she resided at the Alpha and Omega Family Care where she loved and cared for the people and ministry. Her favorite pastimes where entertaining people and shopping, adorned in her finest of dresses, suites and fabulous hats, as her father would call her, “Ms. Diamond”. 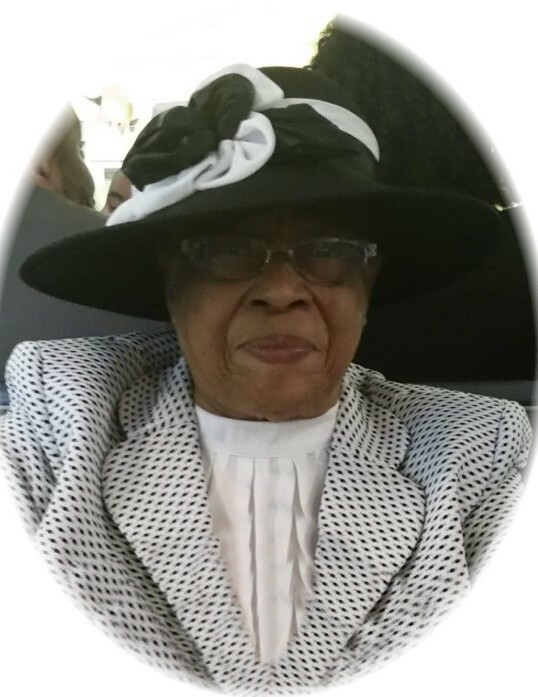 She leaves to cherish her memory: one son, Julius Robinson (Carnethia) of Youngsville, NC; three grandchildren, Kelvin Robinson (Shanel) of Raleigh, NC, Tyrone Robinson of Colorado Springs, CO and Patrice Lynch (James) of Franklinton, NC; nine great grandchildren; three great great grandchildren; three sisters, Pastor Lucy Alston (Willie) of Warrenton, NC, Overseer Marion Davis Patterson Durham, NC and Elder Hazel Blount (Larry) of Roanoke Rapids, NC; three brothers, Ronald Perry of Irvington, NJ, James Perry of Henderson, NC and Michael Perry of Raleigh, NC; a host of nieces, nephews, many other relatives and friends.